The Library Cafe is on the first floor of Williston Library, in the space previously occupied by Rao’s Coffee Shop. The coffee will be provided by Indigo Coffee Roasters, a local and independent company from Northampton, Massachusetts. Dining Services and several former Rao’s employees identified and tested several local coffee roasters before deciding on a provider for the space. According to their website, Indigo is dedicated to the traditional art of coffee roasting. They roast their coffee in small batches using a vintage German 1951 Ideal Rapid Gothot drum roaster. Their products are also USDA certified, fair trade and kosher. Indigo contributes to the fundraising efforts of non-profit groups such as Partnership for Gender Equity and Grounds for Health. They also partner with the International Women’s Coffee Alliance, which empowers women in the international coffee community to live sustainable lives and make ecologically important decisions. Indigo also participates in the Nexamp Community Solar program, meaning that all of their electricity purchases are from renewable energy sources. For students like Cronin, the reopening of a library cafe is especially convenient. Most of her classes are in Kendade and Clapp, so making the walk to Blanchard Campus Center and back for coffee is often hard in the short time between classes. Since the space is no longer owned by Rao’s, it will need a new name; Perna said that students would be able to vote on possible names for the new cafe soon. 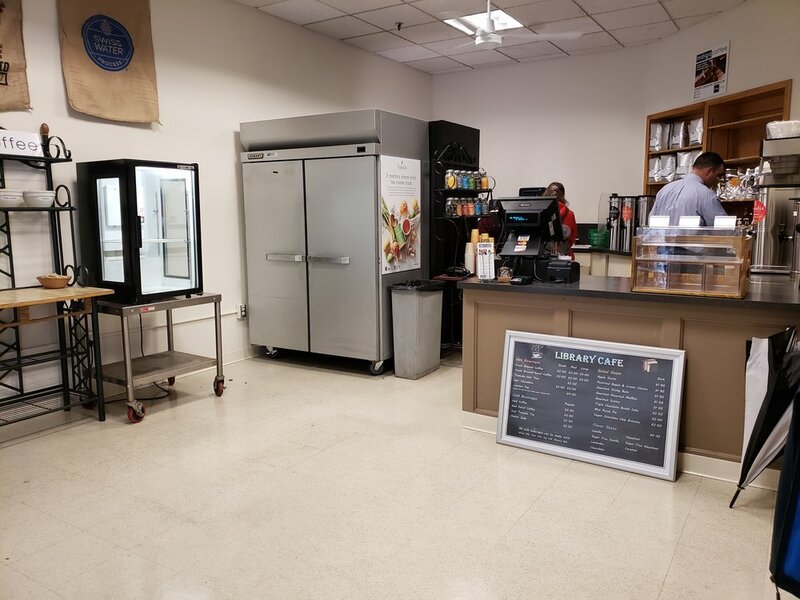 The current menu includes coffee and tea, as well as Mount Holyoke’s own baked goods and bagels. The coffee shop will not be serving any espresso-based drinks this semester, as there was no budget for the purchase of an espresso machine, which could cost up to $20,000. Dining Services has installed three milk frothers, so customers can still order steamers (previously called angry cows at Rao’s) and au laits. Some students hope that the cafe will expand its drink options. “We really need an espresso machine,” said Momo Jin ’19. The library cafe will be open Monday through Friday from 8 a.m. to 9 p.m., on Saturday from 9 a.m. to 9 p.m. and on Sundays from 10 a.m. to 9 p.m.